Serenity Ultimate Underlay™ is the perfect solution for noise control. It adds mass along with flexibility. A plywood layer is floated and then fastened with a second layer of plywood with green glue between them. This combination creates the best floor solution. This is an alternative method of installing a nailed down hardwood floor using Serenity Ultimate Underlay™ Combining the urethane underlay adhesive with the Plywood a barrier is formed to keep the nails from the hardwood floor from penetrating the underlay. This will create true separation. This method uses only one plywood and no green glue. This is useful when there is a height restriction when installing. Here is a diagram showing a cross section of a nailed down hardwood floor on a wood structure. The first step in this process is to screw down the subfloor to the joists. This will help reduce squeaks and creaking. ***IMPORTANT*** The nails must NOT penetrate the underlay. This will give unwanted sound a place to travel through the underlay. This is the ultimate solution to most noise issues. It shows optimal usage of the assembly elements to use when sound proofing a floor and a ceiling below. This will have the maximum effect on noise reduction. Using Green Glue and Serenity Underlay™ this method also incorporates the clips and channel system for the ceiling to make it the ultimate solution for true separation. 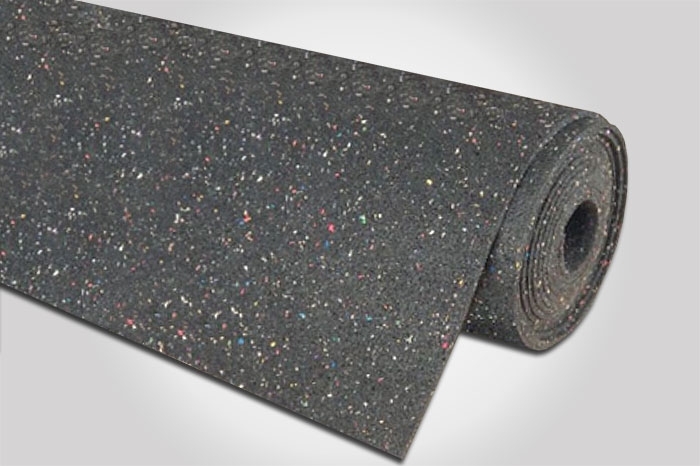 Our thickest underlay (1/2" or 11.5mm) is the perfect solution for nailed down wooden floors. This product is made from 93% recycled rubber and is made here in the USA. Serenity Underlay™ absorbs airborne sound as well as annoying footstep noise common to wood flooring of all types. It provides that all-important break in direct connection to the sub floor. When a wood floor is installed to the subfloor with hundreds of nails there are hundreds of direct connections to the floor framing. These mechanical connections are the source of footstep vibration traveling to the room below. Serenity Underlay™ solves this problem by isolating a new layer of plywood from the existing plywood sub-floor. "Floating" a new sub-floor breaks this direct connection and provides a new sub-floor that can be nailed to without reaching the floor framing below. A glued down floor can also be applied directly to this underlay. We also have a "How to use" section to help with product installation.